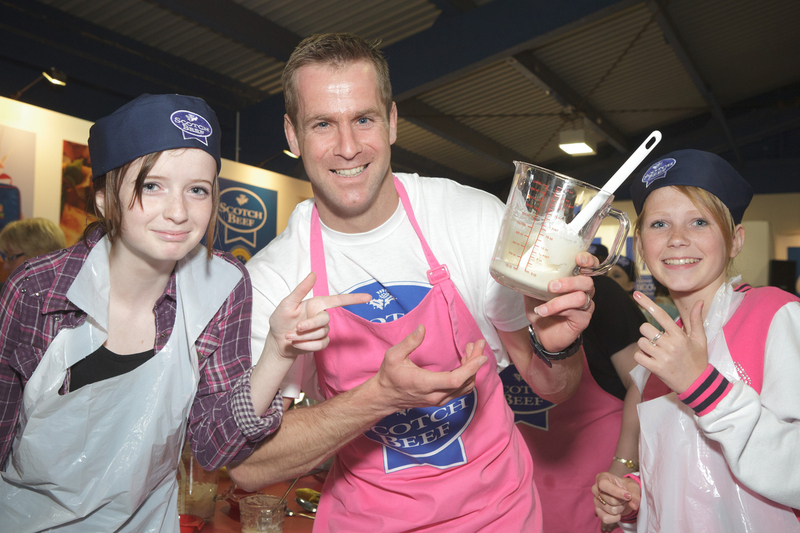 Food and drink producers are busy preparing for what many regard as the most important four days of the foodie calendar – The Royal Highland Show. My first visit to the Highland Show was with my Mum and the ladies of the Scottish Women's Rural Institute better known as 'The Rural'. I would have been about 10 years old and can remember my friend and I went off on our own and got slightly lost, however we found our way back to the 'Rural' tent and were reunited with our Mums. My second visit was after I had become a member of the farming community and my son was in his buggy, the ground was wet and muddy and it was quite a trial getting around with the buggy, let's hope the weather is kinder this year! The food aspect of the Royal Highland Show has grown phenomenally since I last attended so I am really looking forward to seeing the demonstrations and tasting so much excellent Scottish produce. 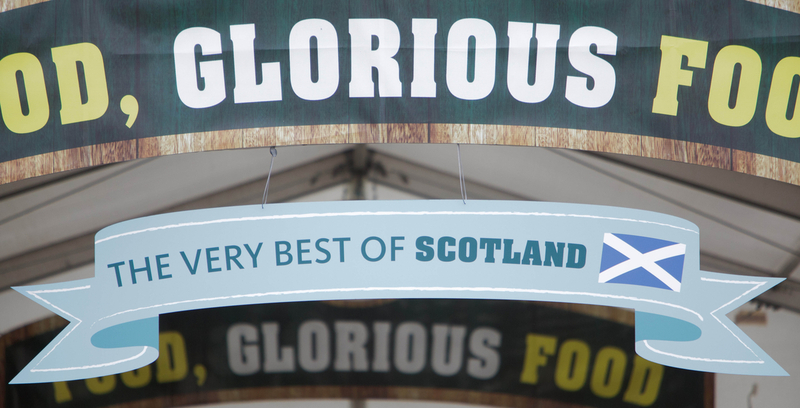 Over 100 exhibitors will be joined by a host of the country’s best chefs and restaurateurs in an annual celebration of Scotland’s finest food and drink. 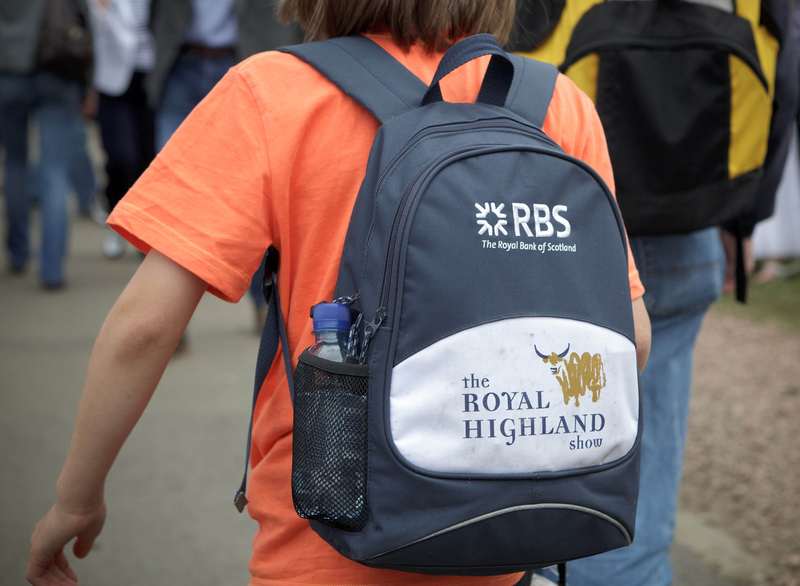 The event, with main show partner The Royal Bank of Scotland, welcomes an average of 170,000 visitors every year with the majority expected to visit the Food Hall over the four day event this June (20-23). Reaching consumers and leading industry players, exhibitors will be hoping that their produce will benefit from the significant exposure the show platform presents. Last year, The Island Smokery on Orkney caught the eye of the Tesco buyer and the company is now ramping up its production after securing a deal to supply 45 Tesco stores across Scotland. Innovation is key to the show, which has been successful in attracting new audiences while maintaining interest from those who return every year. New for this year will be a showcase for The Highlands and Islands food and drink producers under the title ‘Land of Opportunity’. Presenting a engaging stage for the region, ‘on the go’ street food will become a focus as four top chefs take to the Countryside Area to showcase the culinary delights from northern Scotland. Although relatively new in the UK, street food is eaten by an estimated 2.5 billion people a day across the world. Taking on the theatre are famous chefs from the area including Bruno Birkbeck, Head Chef of the 3 AA Rosette Restaurant at the Torridon Hotel, Muji Rahman from the Michelin recognised Cafe India in Dingwall, David Coubrough, Head Chef at Cafe 1 in Inverness and Steven Devlin of the highly acclaimed Rocpool Restaurant in Inverness.Each chef has been tasked with creating a menu for the day using only Highlands and Islands sourced produce. In the Food Hall, top attraction 120-seat Cookery Theatre, will return with a rolling programme of more than 30 all-action demonstrations over the four-day event. This year, the Cookery Theatre will be renamed the Natural Larder to pay homage to the Year of Natural Scotland celebrations. Organised by acclaimed food critic Wendy Barrie with the support of theatre sponsors Event Scotland and The North Highland Initiative (NHI), this year’s President’s Initiative region, the Highlands and Islands, will take the fore. In addition to top chefs from the Highlands and Islands the theatre programme will also feature; Carina Contini and Suzanne O'Connor from The Scottish Cafe & Restaurant; Neil Forbes from Café St Honoré; Henderson’s of Edinburgh celebrating 50 years in the business; Paul Wedgwood from his eponymous restaurant and Craig Wilson, Eat On The Green’s one and only ‘Kilted Chef’. Wendy Barrie commented on the star-studded line up. She said: “Passionate as we all are about our national food culture it is great to have such a positive message to broadcast – low food miles, unquestionable provenance and great tastes! 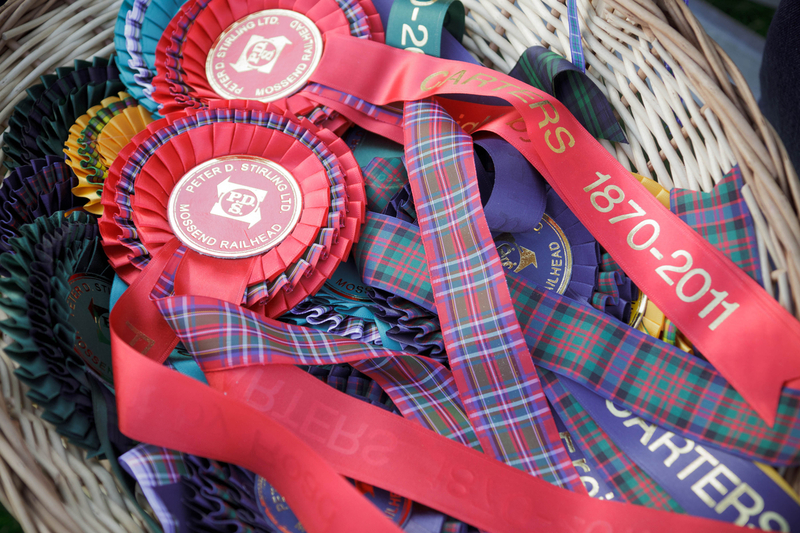 We are all looking forward to cooking the produce, meeting the visitors and contributing to making the Royal Highland Show the ‘greatest show on earth’. Sampling Scotland’s larder at Show will be The Royal Highland Show’s new show manager, Becky Elvin. 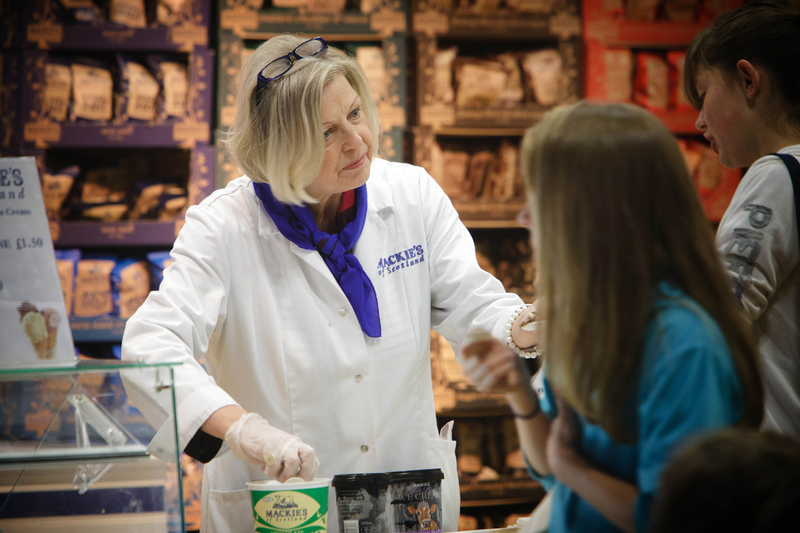 She said: “The show provides a unique opportunity for food and drink suppliers to reach new audiences. We are committed to supporting new businesses as well as established players as food and drink production is an important economic driver for Scotland. Joining Highlands and Islands producers will be a who’s who of Scottish food and drink names from big hitters such as Mackies of Scotland, Macsween and the Spencerfield Spirit Company who were all named as winners at last year’s Scotland Food & Drink Excellence Awards. East Lothian Food and Drink will also return to the show for the fourth year to highlight the breadth of local production from the region. Six exhibitors including Thistly Cross Cider, Glenkinchie Distillery, Scots’ Cheer, Yester Dairies, Hood’s Scottish Honey and the famous S Luca Ice Cream, will allure foodies to sample the best from the East. 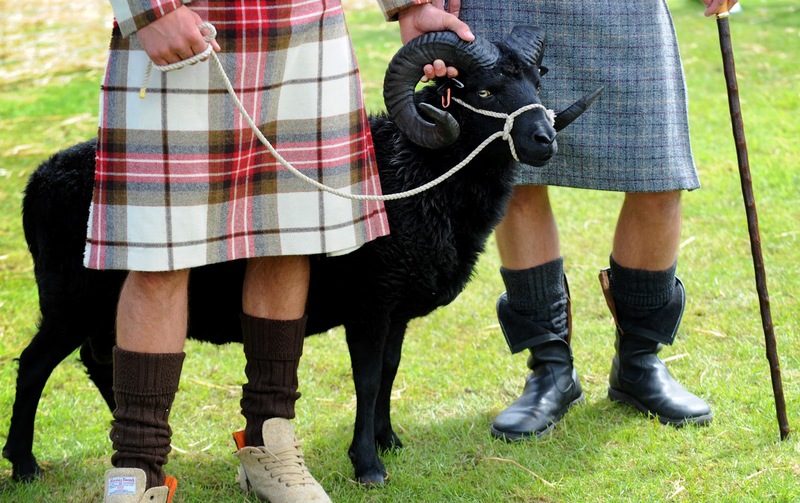 The Royal Highland Show takes place between 20th and 23th June at Royal Highland Centre, Edinburgh. Visit www.royalhighlandshow.org for more information. I am posting this press release in return for a ticket to the Royal Highland Show, I have received no other payment. I love the Highland Show. Have been going since I was a bump in my mums tummy when she ended up in hospital in Edinburgh as she had a bit of a scare. As a farmers daughter we went every single year throughout my childhood. I've been well over 30 times. 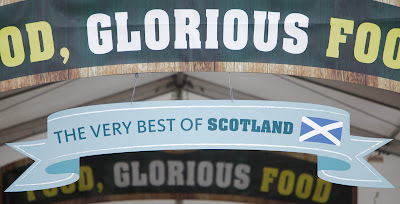 An excellent showcase for Scotland's produce.